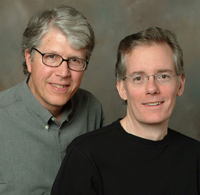 The official website for Douglas Preston and Lincoln Child is loaded with interesting information about them and their books. 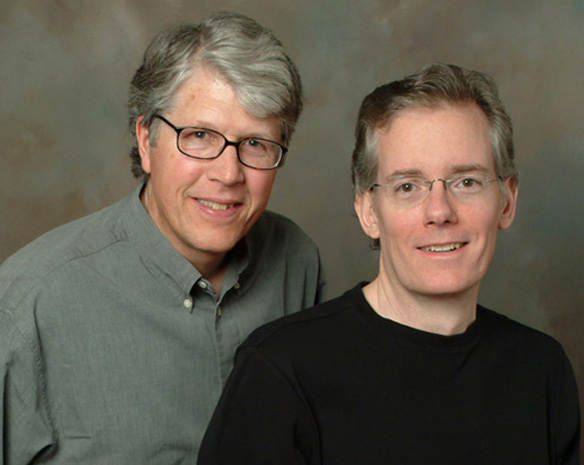 The argument was with a man who planned to read "Two Graves," the new Pendergast thriller by Douglas Preston and Lincoln Child, without reading any other Pendergast books first. 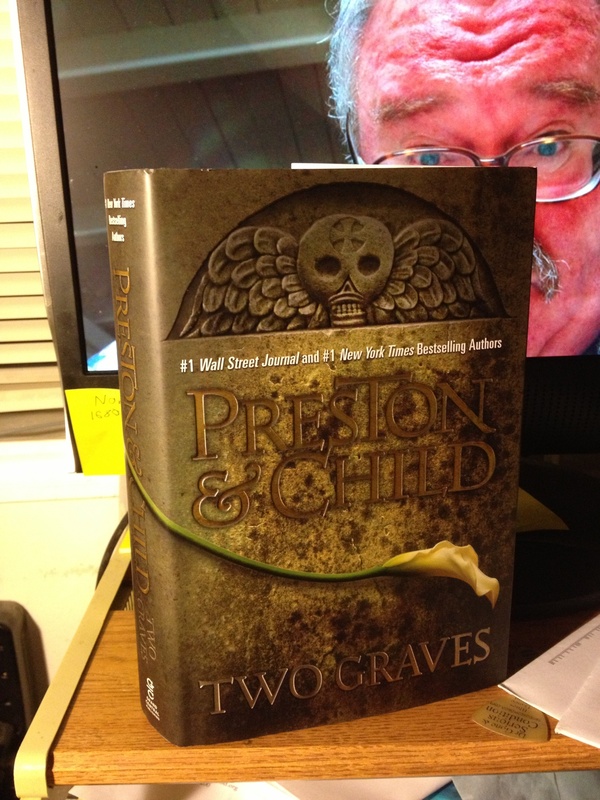 Well, "Two Graves" can be read as a stand-alone, but my wife (who was the one talking to that man) was right: It's better to read other Pendergast books first, especially, in the case of "Two Graves," the first two in the three-part "Helen" series, "Fever Dream" and "Cold Vengeance." In fact, if you aren't already familiar with FBI Special Agent Aloysius Pendergast, aristocratic scion of an old New Orleans family with a definite streak of madness, do yourself a favor: Start with his first appearance, in "Relic," and continue on through "Two Graves." "For two hours he stood there, stock-still. And then he laid it down. His lips moved and he spoke a single word. The "Helen" series, a trilogy, has to do with Pendergast's wife Helen, whom we'd all thought was dead. Pendergast even had something of a romance with another woman in some of the earlier books, a brilliant Egyptologist, Viola Maskelene. In the first of the trilogy, "Fever Dream," Pendergast learns that his beloved wife did not die in a hunting accident years ago, ripped apart by a lion in Africa, she was murdered. Someone had loaded her gun with blanks. In the second of the trilogy, he learns that Helen must have been complicit in what happened in Africa; he digs into a deep nightmare of Nazi genetic experiments and other surprises I won't give away here. Because in this one, "Two Graves," Pendergast is sent pretty much around the bend by Helen's odyssey, and ends up in some very dark places, both physically and emotionally. If you haven't read the other Pendergast books, you may still enjoy this tale of Nazi psychos who want to start a Fourth Reich with genetic mutants, and their impressive operation in a Brazilian volcano, not to mention the serial murders taking place in New York City hotels before we get to Brazil. But if you've read, say, "Still Life With Crows," my personal favorite of all the Pendergast books, you'll be happy to see Corrie Swanson show up in this book. If you've read "Relic" and "Reliquary," and a whole bunch of others, you'll appreciate the presence of Vincent D'Agosta, who does a key thing that saves Pendergast from himself even when Viola Maskelene fails to do so. On the other hand, if you haven't read all those many other Pendergast thrillers, you might enjoy "Two Graves" more than I did. Because you won't be comparing it to "Still Life With Crows" Or "The Cabinet of Curiosities" or "Brimstone," all of which I liked more. Still, I respect what Preston and Child are doing with Pendergast: They are running him through the coals, they are testing his mettle, hanging him over the cliffs of hell to see how he survives. And, they are playing with the expectations of readers, especially readers who've maybe taken a good literature or criticism course in college, and maybe have an appreciation for the history of mystery books, and for epics, wherein the old hero must die, so that the young hero may carry on. And, there is a new bad guy we meet in this book, and a new good guy. What happens with them is likely to pop up in books to come. Knowing Preston and Child's love of old mysteries, including Arthur Conan Doyle's tale "The Final Problem," in which Sherlock Holmes supposedly falls to his death at Reichenbach Falls, I always found it suspicious that Preston and Child killed Pendergast's brother, Diogenes, by throwing him in a falls. True, lava, not water, making it tougher to explain his survival later, but just the same. And so, when I reached Page 131 in "Two Graves," I exulted. The bad guys in "Two Graves" are born and bred Nazi mad scientist assholes, and we've dealt with plenty of those guys in other stories, from comic books to movies. What they are doing  messing with genetics to create a super race  is also not new, although Preston and Child reference modern science on the subject. So, I didn't find that part of it all that interesting. But what really bothered me about this Pendergast tale, compared to my favorites in the series, is seeing too much of him strictly from the omniscient view, and not enough from second person. I like seeing other character react to this strange man, who is ridiculously pale, with hair so blonde it's almost white, and silvery eyes that see everything. He wears hand-tailored black suits that fit snugly to his skinny frame but still manage to carry all sorts of the tools of his trade, from specimen bottles to a lock-picking kit to a large pistol. He speaks with a modest but elegant New Orleans drawl and some people are creeped-out by him and others find him attractive. He is charming when he needs to be and tough as hell when he needs to be. And he is brilliant, in ways not dreamt of in any of our philosophies, Horatio. And whatever situation he gets in, he finds a way out, including, quite often, saving other people in the process. 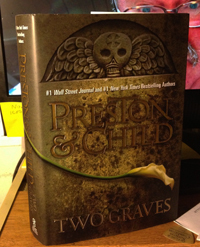 "Two Graves," for me, did not have quite the same feeling as my favorites of the Pendergast books. His own story is less compelling than I would like, and there are a couple of main subplots  one involving Constance Greene, his unusual ward, and one involving Corrie Swanson  that have precious little to do with the main story. They are just kind of tacked on. Too bad, because Constance and Corrie are both great characters. Still ... do read the Pendergast books. But start with "Relic" and just keep going. You'll get here before too long.